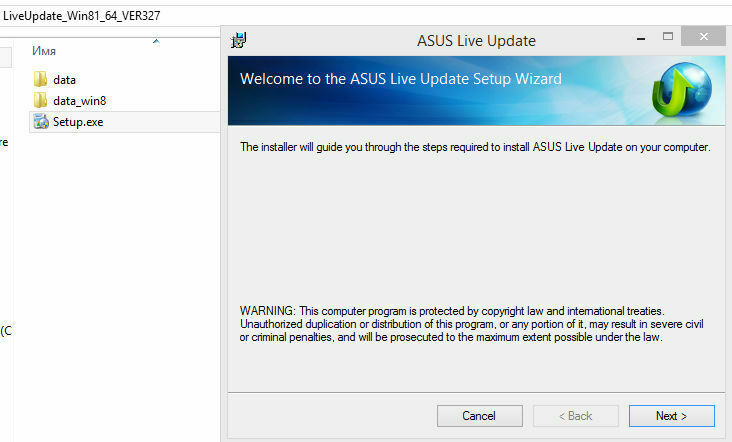 now this is the 4th: http://dlcdnet.asus.com/pub/ASUS/nb/Apps_for_Win8.1/LiveUpdate/LiveUpdate_Win81_64_VER327.zip The zip itself is not the virus, once you install the Live updater, when it runs, that gets flagged as a virus! 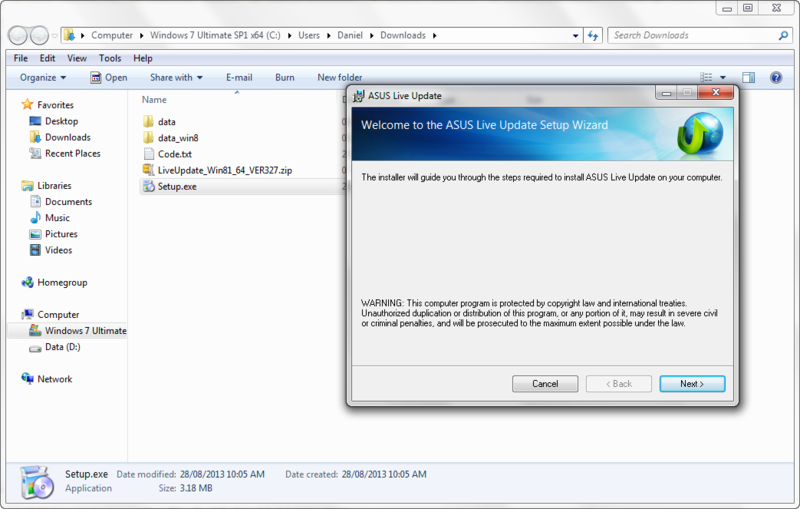 for the love of good it's an ASUS updater! seriously considering to switch solutions as I can't deal with so many FPs and I thought Panda Cloud AV was bad! this is horrible! We very much apologize again for the issues you have been having. We have reversed this false detection in our system as well. Well to me it's better to be over protective and at least they fixed the FP for you! @scubasit , sorry you feel so negative about Webroot. Your negativity accomplishes nothing. Lets not KILL THE MOOD in the community. We are here to help eachother. SO I will ask you again to please read the https:///t5/Community-Announcements/Webroot-Community-Guidelines/td-p/2 AND follow them. Experience Shared is Knowledge Shared, Share Yours! I'm a volunteer – my reward is your SMILE! :D Helpful Webroot Links: Submit Trouble Ticke t • User Guides • BrightCloud URL lookup • Account Console Download (PC) • Download (Best Buy/Geek Squad Subscription) • Download (Walmart and Target) • Download (MSN Subscription) Register and Introduce yourself to The Community! Your right we dont create Viruses , we leave that to the malware authors. Your last few posts are just about slamming our product. I am sorry you dont like our software but spamming our forum with negative feedback isnt really helping anybody. I just found this post on Yahoo. I don't blame you for getting upset I had the same problem so I dumped Webroots crappyActually webroot doesn't create viruses it just gets a lot of false positives but yes I hate webroot for other reasons. It has way too many problems and cons to be distributed with OEM computers software. Yes that's what's it's meaning so I would contact support! As I don't have ASUS I can't run the full installer to find out about that file that you have over ridden to ignore, Did you get it installed in any case? And you should contact support and ask what's going on with this installer it could be a simple thing of Whitelisting that Overridden file detection. Have checked on the MD5s for the updatechecker.exe, and found a couple of site reporting it as "Trojan downloader activity" and that the file is not digitally signed. Can appreciate how you are feeling especially with us saying we are not seeing the same as you (and that is very real for you) but as Daniel says there must be something somewhere that is causing this...so I would suggest one last try...and go for the scan of the .exe and then posting if there is anything that seems untoward, or even PM'ing the scan log to us so that we an have a look discretely. ;) if that does not cause you a problem? That's weird... I haven't experienced any false positives for a long time. Even on my new laptop, which is full of applications and add-ons from Samsung, after a few scans WSA classified almost all of them as [g]. So far there is not even necessary to do whitelisting. Can you scan the files and save a scan log and post the lines like I did? I ran the installer and no detection so there is a problem on your end. @ Triple Helix, I never save or import my settings. 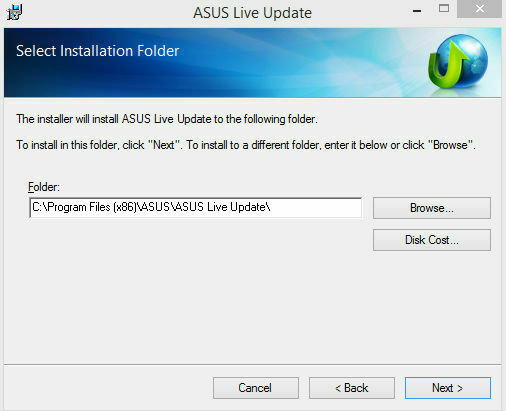 I've said that it's a pure clean installation and the problem is not with the installer since you and I can run it, the problem is when the ASUS updater program itself starts. I just showed you the screnshots above and the virus total link, how will support help me? if they can't even install the program? and what in the world makes WSA mark it as a virus or PUP to start off with? that's my point, the FPs in WSA are beyond imagination. I'm tired of submitting support tickets I've submitted like 4 this week. We have a set guidelines on what we can mark as bad and we follow them to the button.We mark a large number of PUA`s every day in fact I marked about 75 thousand bad yesterday. A large amount of the tickets I see about customers having an issue about PUA is that they installed it themselves by clicking a number of accept dialogue boxes. If a program tells you what it does (and isnt malicous) and gives you the option to uninstall cleanly it wont probably wont be marked bad (thats not set in stone of course!). In the links you posted the first one isnt really PUA they are talking about malware (password stealers etc) which we of course we block. The grayware def again is a little vague they talk about Dialers (which we block), Adware which there a varying types of some we block some we dont (it varies for each program). What people forget is that "free" programs often use advertising in order for the creater to make some money. Its extremely common on mobile applications but for some reason when its on a PC platform people get really annoyed Toolbars are a pet hate of mine, if I had my way I`d mark them all bad but to be honest the majority of them will tell you what they do before the install! My rule of thumb is to avoid them all." No detection here and I have mine set to the Max! And marked Good! Strange! Can you do another clean reinstall of WSA and make sure you don't import your old settings make sure you have Keycode and Reboot after Uninstall and after reinstall. When I had webroot on I couldn't even upload the file to virus Total IE kept crashing until I shut down WSA then I was able to upload the file! This what I get with your link? I appreciate that you have a new install but what I was wondering when these FPs (the 4 a day that you are unfortunately getting) started? 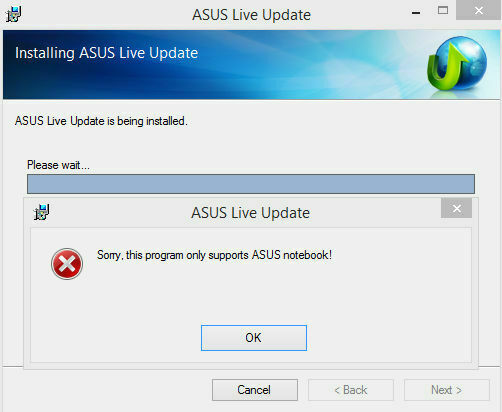 Has this always been the case or have they started since the last install of WSA, etc. I will check again on my Win8.1 system but as I have it set to do auto updates they are usually installed before I even get sight of them. But given the info you have provided I will double check.